A loan of $3,325 helped a member to buy soft drinks, fillings, and supplies to make snacks and savory pastries. The Mulheres Independentes ("Independent Women") group has been a client of the Banco do Povo Crédito Solidário (BPCS, People's Bank - Credit in Solidarity) for the last two years. 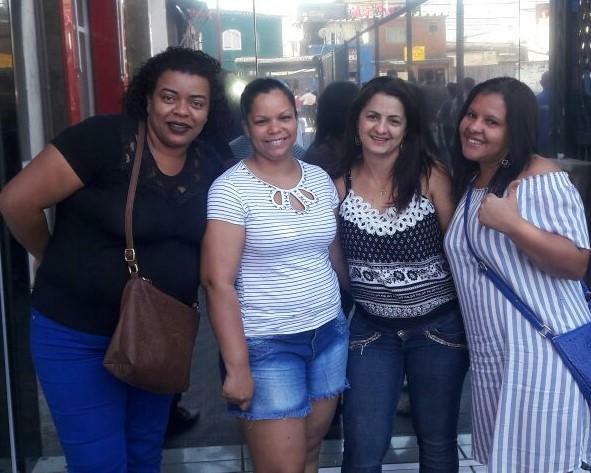 The group is formed by four women who live in the São Miguel Paulista area of São Paulo, and who are working to achieve financial independence and to help their families to improve their financial conditions. Adriana has a hair salon, and with the loan she is going to buy dyes and chemical products for her customers' capillary treatments. Jamile has a small snack bar, and with the loan she is going to buy supplies to make snacks and savory pastries and to buy soft drinks. And Vilma works as a pastry chef; with the loan she is going to buy supplies to make cakes, sweets, and savory pastries. Sheila is the group leader. She has a son, is not married, and lives with her mother. She has a small snack bar where she and her mother work together. Selling savory pastries is her only source of income. With the loan, she is going to buy soft drinks, fillings, and supplies to make snacks and savory pastries. With the extra income, she is going to expand her business and buy new equipment to help with production. The group would like to thank the investors for their support and dedication. Translated from Portuguese by Kiva volunteer Tricia Perry. View original language description. O grupo Mulheres independentes é cliente do Banco do povo Crédito solidário (BPCS) a 2 anos. O grupo e formado por 4 mulheres que moram na região de São Miguel Paulista em São Paulo, e que trabalham para adquirir a sua independência financeira e ajudar suas famílias a melhorar sua condição financeira. Adriana tem um salão de cabeleireiro e com o empréstimo ela vai comprar produtos químicos, tinturas para tratamento capilar de suas clientes, Jamile tem uma pequena lanchonete e com o empréstimo ela vai comprar suprimentos para a fabricação de lanches, salgadinhos e compra de refrigerantes e Vilma trabalha com confeitaria e com o empréstimo ela vai comprar suprimentos para a fabricação e bolos, doces e salgados. Sheila é a líder do grupo ela tem um filho não é casada e mora com a mãe. Ela tem uma pequena lanchonete aonde ela e a mãe trabalham juntas, vender salgados e sua única fonte de renda, com o empréstimo ela vai comprar refrigerantes, recheios e suprimentos para a fabricação de lanches e salgados. Com a renda extra ela vai ampliar a sua atividade e comprar novos equipamentos para ajudar na produção. O grupo agradece o apoio e a dedicação os investidores. This is one of few affordable credit options for low-income borrowers in São Paulo, Brazil. Banco do Povo is a microfinance organization operating out of São Paulo offering microfinance loans to populations with little or no access to financial services. Banco do Povo offers 3 different loans through their microlending program, on both group and individual levels. Additionally, they seek to expand microfinance in Brazil by assisting communities and organizations interested in starting or growing microlending programs. Kiva supports Banco do Povo's work to reach populations with little or no access to financial services in Brazil.